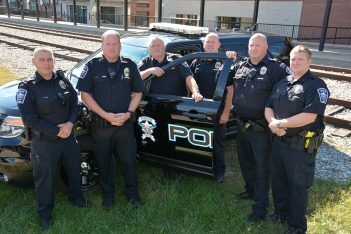 Fishers residents will have a chance to take a step back into the city’s history when the Fishers Police Dept., Fishers Fire Dept. and Nickel Plate Players will put on a historical re-enactment of the Battle of Mudsock. The Battle of Mudsock took place in Fishers Nov. 19, 1881, when, following an altercation, patrons from two rival saloons got into a brawl that injured 30 people and killed two. From left, Doug Grout, Christopher Owens, Dave Dunbar, Ryan Jones, Troy Fettinger and Robert Bowling will portray Battle of Mudsock characters. Fishers Police Dept. Officer Robert Bowling, who wrote the re-enactment script and will portray one of the characters, said Fishers in 1881 was known as a lawless railroad town where people loved to drink. Upon returning to the bar, patrons informed West about the incident and the pair returned to Farrell’s saloon. Fouch, however, goes to West’s saloon and hurls an insult. Patron Bob Dawson responded with an insult, and another fight broke out. Approximately 30 people took part in the brawl. At one point, West struck Fouch with a brass faucet and killed him. 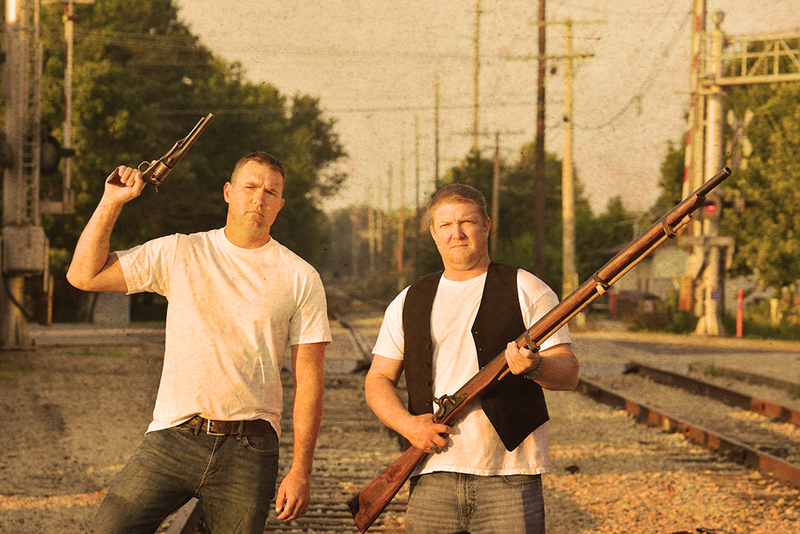 After the fight, Farrell and his brothers got into an argument that sparked a gunfight that continued throughout the night. West’s saloon closed down immediately following the fight. Farrell’s saloon was burned down two days later. From left, Will Ortiz, Chad Mohr, Matt Rambo, Kevin Brolsma, Mark Davison and Kurt Globerger. Bottom, Bobby Schlageter. Firefighters will portray Battle of Mudsock characters. Fishers police and firefighters will portray characters from each saloon. The re-enactment will be 3 p.m. Nov. 10 at the Ambassador House, 10595 Eller Rd. Gates will open at 2 p.m. and house tours will be offered from 2 to 3 p.m. Tickets are $12 online in advance or $15 at the gate. Proceeds will benefit the Fishers Fire Foundation, the Fishers Police Foundation and the Historic Ambassador House. The Ambassador House had originally scheduled county historian David Heighway to speak on the battle in November. Marj Sparks, an Ambassador House board member, brought up the possibility of putting on a historical re-enactment instead. Food and drinks will be available for purchase. Parking is free. For more or to purchase tickets, visit battleofmudsock.com. To sponsor or contribute, contact Sparks at (317) 903-9879. FPD Officer Robert Bowling said most people think of the annual football game between Fishers High School and Hamilton Southeastern High School when they hear about The Battle of Mudsock. The Battle of Mudsock made national news, generating headlines as far away as New York and Texas.